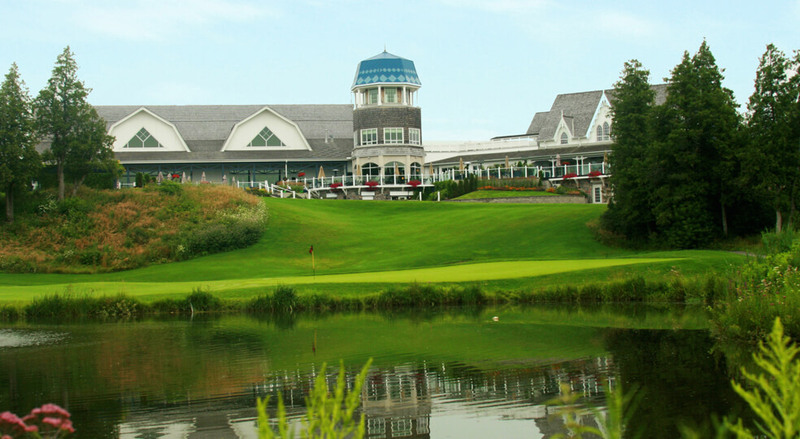 The North Course at Angus Glen offers beauty, challenge, and variety to satisfy the skills of any golfer. 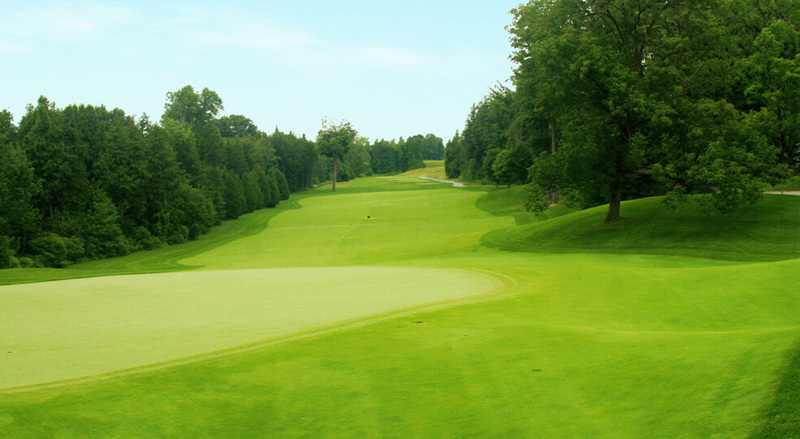 Known on an international level for hosting a PGA tour event (2007 Canadian Open), Angus Glen North Course provides a memorable day of play for all. 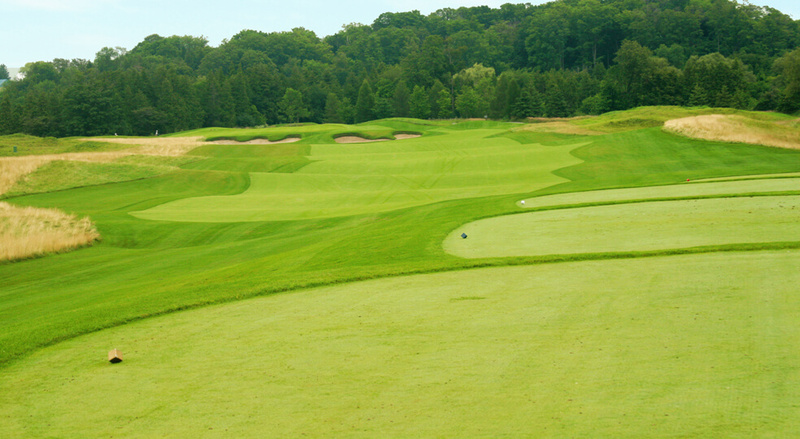 The fairways on the North Course at Angus Glen are lined with jagged, peaky, fescue-covered dunes, and riddled with three and four foot sod wall bunkers. 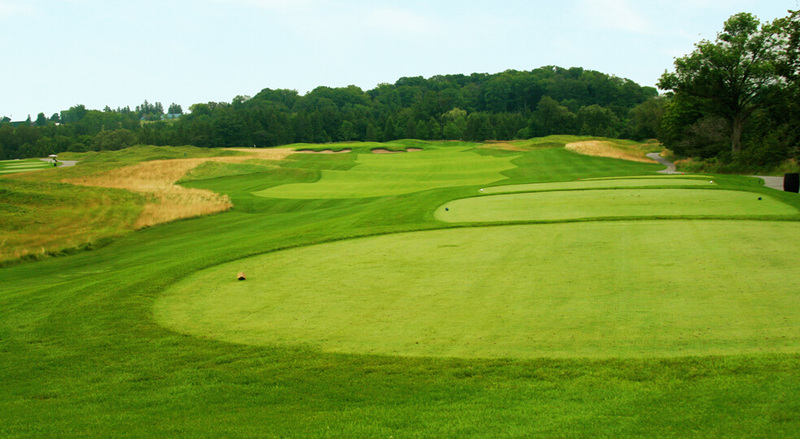 While the fescue dunes are grown freely to their natural height of approximately two feet, the sod walls are kept tightly trimmed to reveal the menacing vertical faces complete with the Scottish-style layering of the sod. 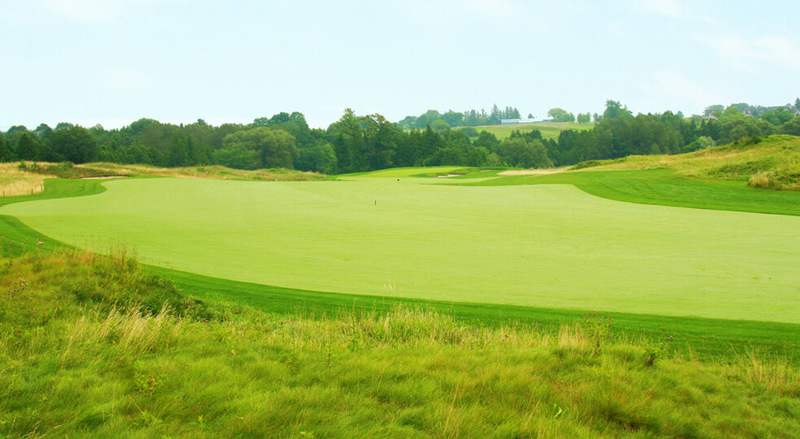 The Providence Bentgrass on the tees, greens and fairways of the North Course exhibits an upright growth characteristic, providing a good lie for fairway shots, and a true roll on the putting surfaces. With a steady topdressing and grooming program in place, the greens are kept relatively fast, and the subtle undulations will test the skills of even the best putters. 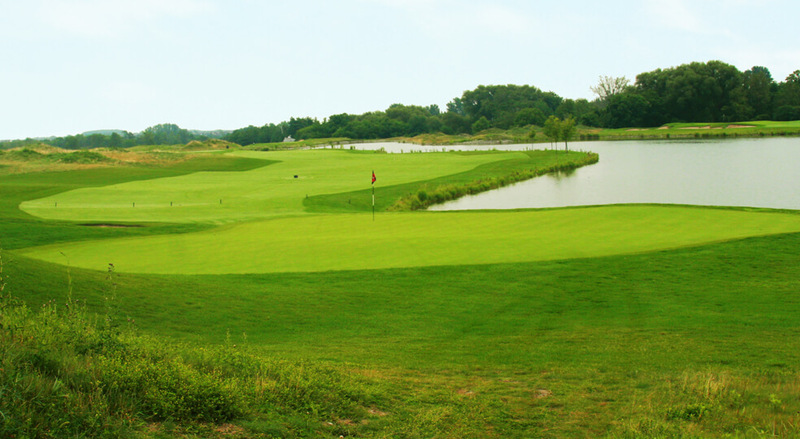 A fully computerized irrigation system with individual sprinkler control offers an environment that is not only highly beneficial to the turf, but also to the golfer. 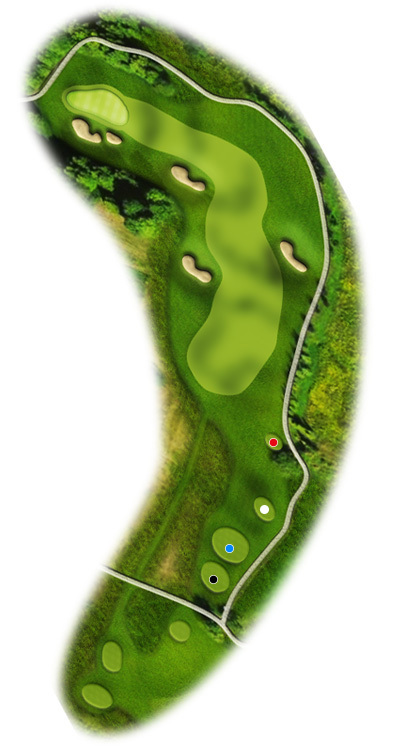 And with its four sets of tee blocks on each hole, the course can be played with varying degrees of difficulty. 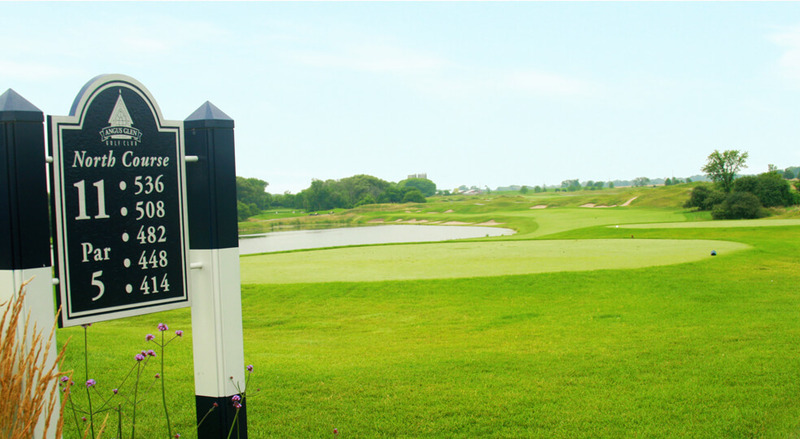 All in all, the course provides a wonderful playing balance of challenge and fun. 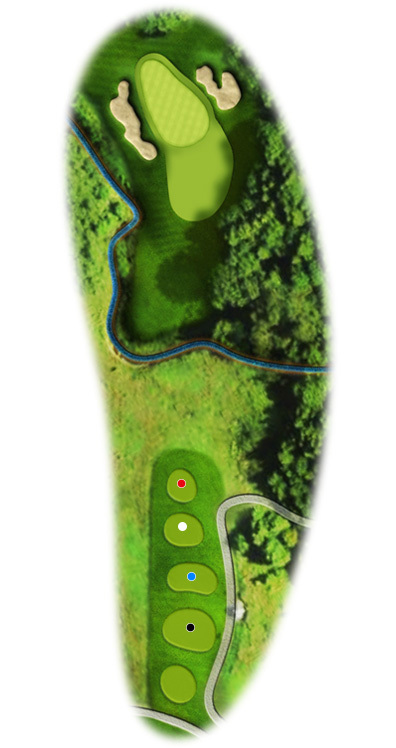 The first hole at Angus Glen North is a 600 yard par 5 which doglegs slightly to the left 320 yards off the back tee. 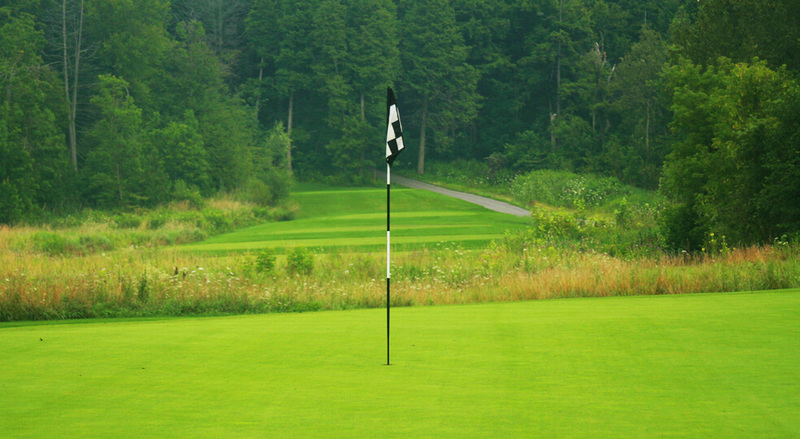 Most players will play this as a three shot hole but if the wind subsides some may try to hit the green in two. 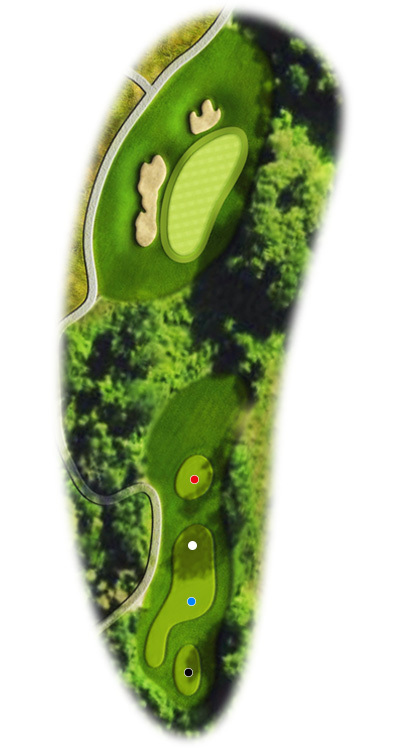 The second hole is a medium length par 4 characterized by a dramatic elevation change on the approach shot. The tee shot is played on to a plateau fairway with a bunker guarding the right side, leaving the player with a mid-to-short iron into a large but deceiving green. 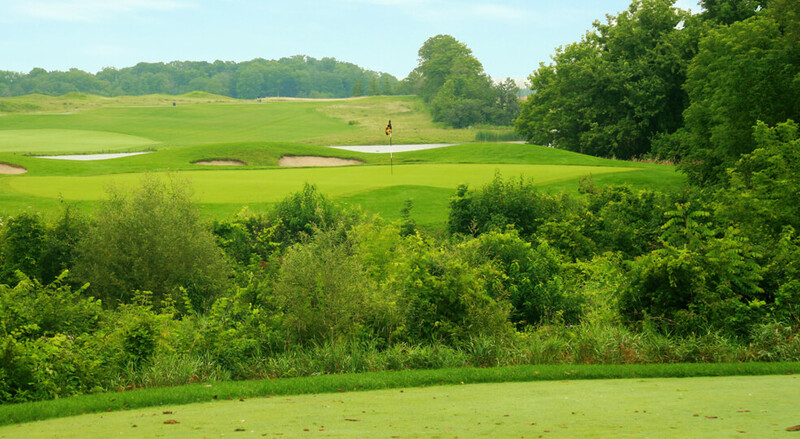 The third hole is a sharp dogleg left with mature oak trees guarding the approach shot. Three fairway bunkers frame the fairway and a smallish green surrounded by steep slopes makes an accurate approach a must. Players who find the right side of the fairway will be left with short irons in to this green making it a definite birdie opportunity. 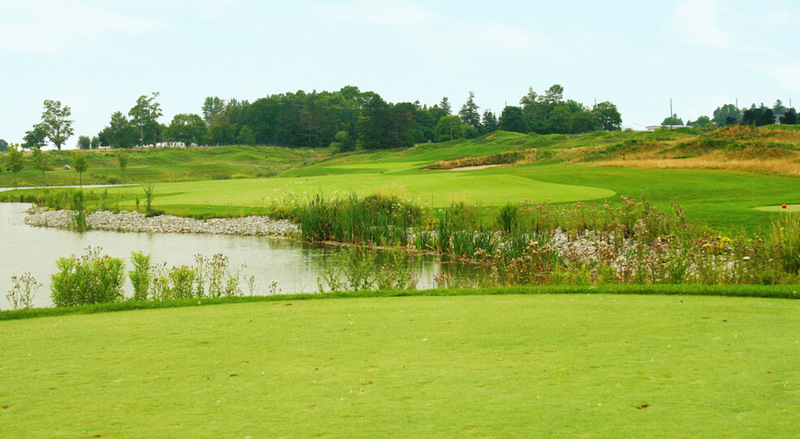 The first par three on the North Course is also the first hole to cross the Bruce Creek. 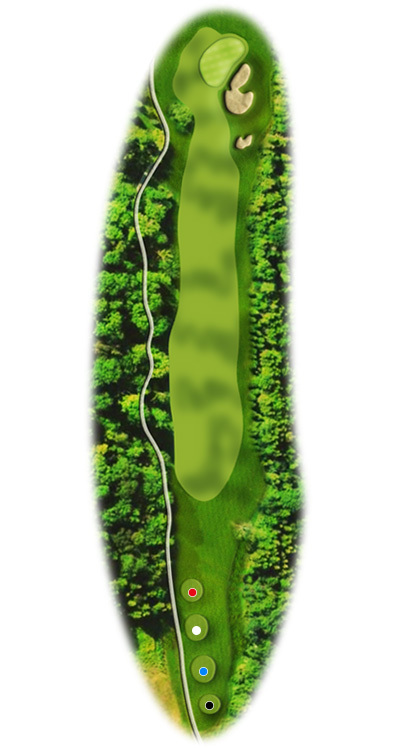 The green is guarded by a large bunker which frames the right side and thick rough and trees which bound the left and rear of the playing surface. 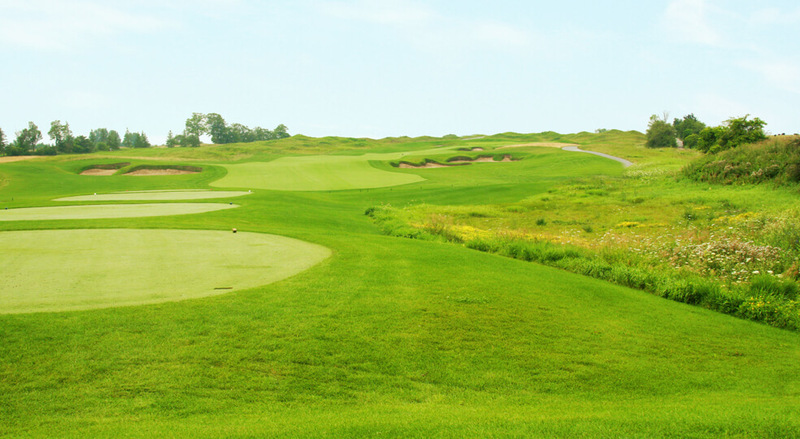 The green is divided by a severe slope causing any shot played short to roll back into the front collection area. 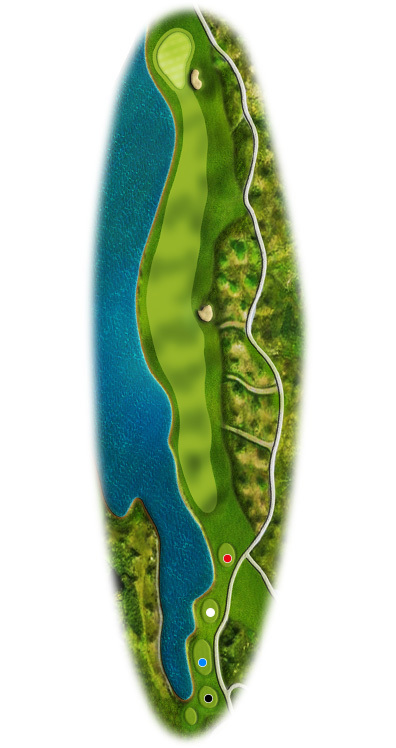 The fifth hole is a straight-away par 5 that plays directly into the prevailing wind. The tee shot is played to a landing area narrowed by a fairway bunker on the right and deep fescue rough on the left. The approach to the green is challenged by a large deep bunker on the left and a grass bunker on the right. The green slopes back to front allowing long approaches to hold the green making this a definite birdie hope. 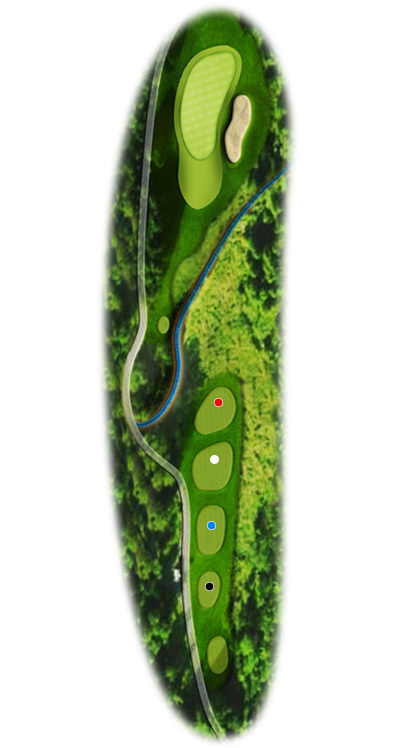 The sixth hole is long par 4 whose principal defense is an undulating green with steep slopes protecting all sides. 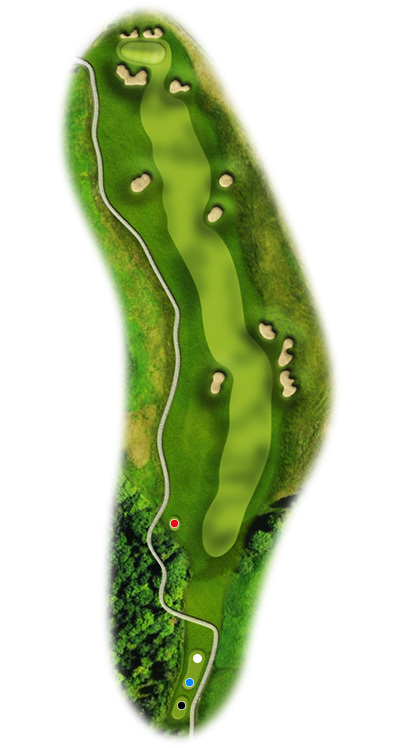 Treacherous pin positions abound and players will need to find the fairway to have a chance to stop their ball on the green especially if the hole plays downwind. 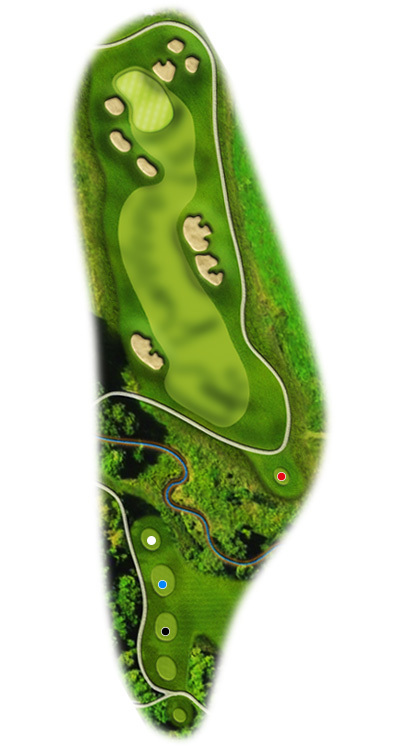 The seventh hole is a dogleg right par 4 with a challenging tee shot and steeply pitched green. 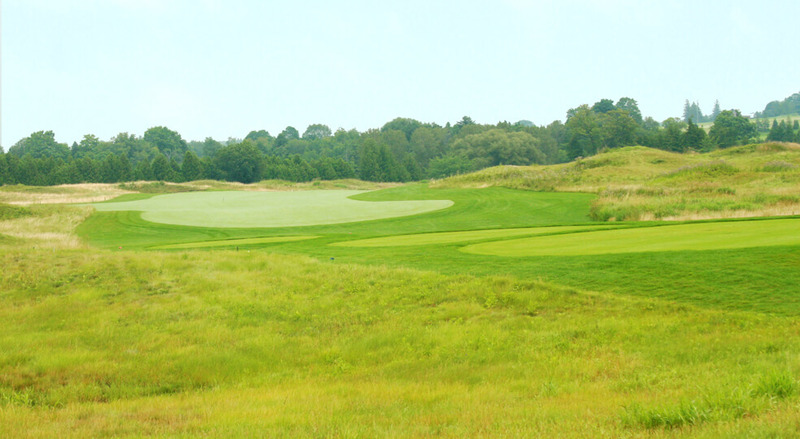 Players will try to cut as much of the dogleg as they dare but thick fescue awaits a wayward shot. The approach will be played to a medium sized green pitched front to back with two greenside bunkers framing the right side. 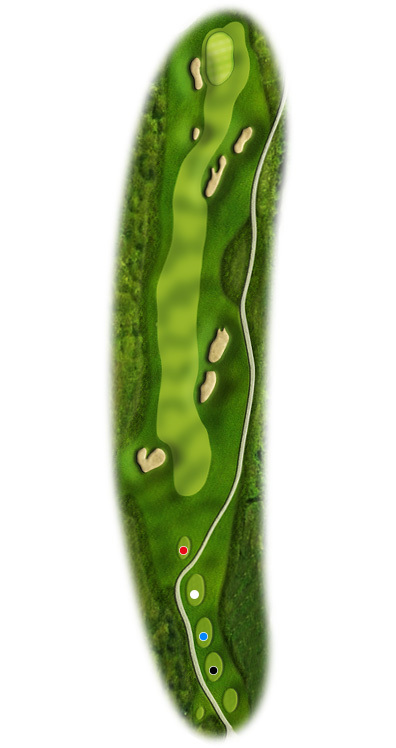 The second par three on the course plays downhill to a large green with a greenside bunker to the right. 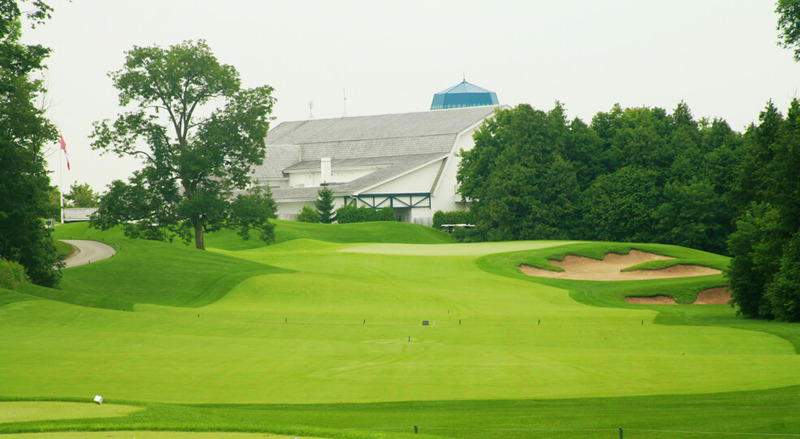 Club selection will be made difficult with the winds that swirl among the tall Oaks and Maples that surround the green. 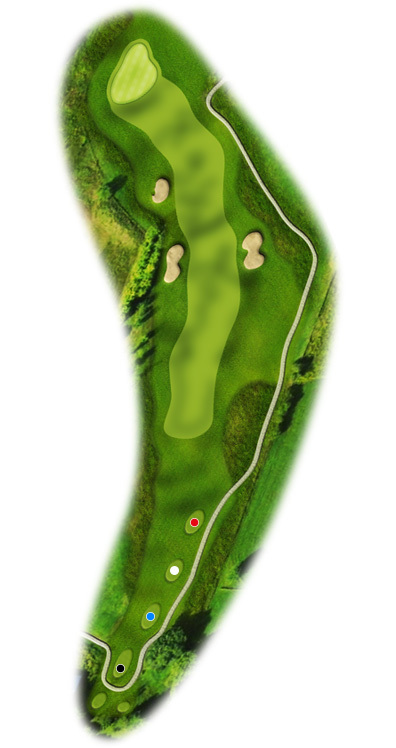 The ninth hole is a short par 4 made challenging by large fairway bunkers and the trickiest green on the course. 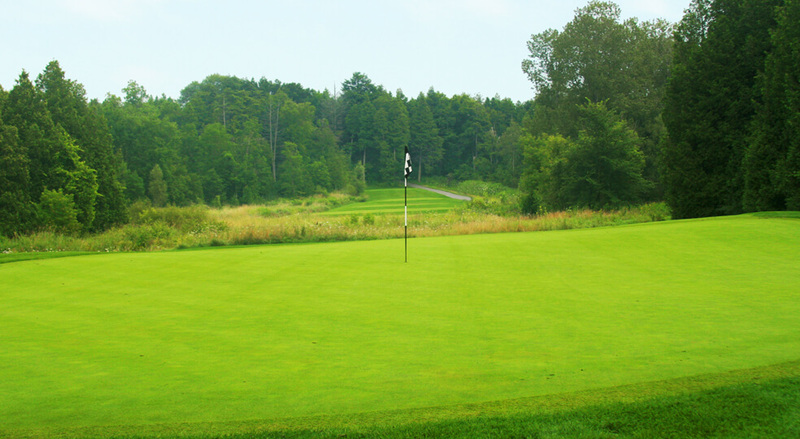 A short iron approach is all that should be required for the hole but treacherous pin positions on the putting surface may take more strokes than first planned. 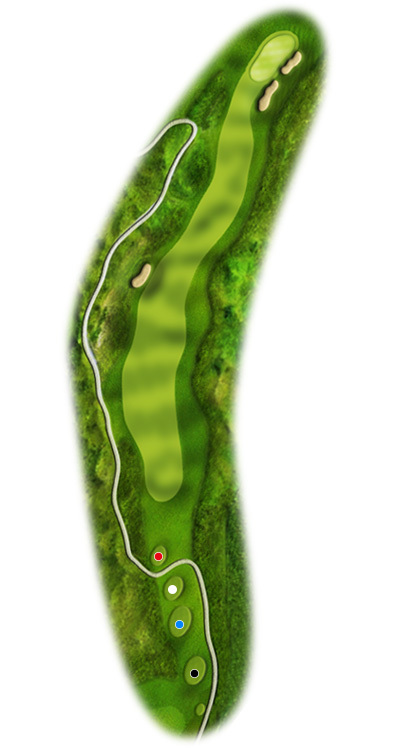 The tenth hole is a straight-away par 4 playing slightly uphill. The tee shot is framed by fairway bunkers and deep rough. 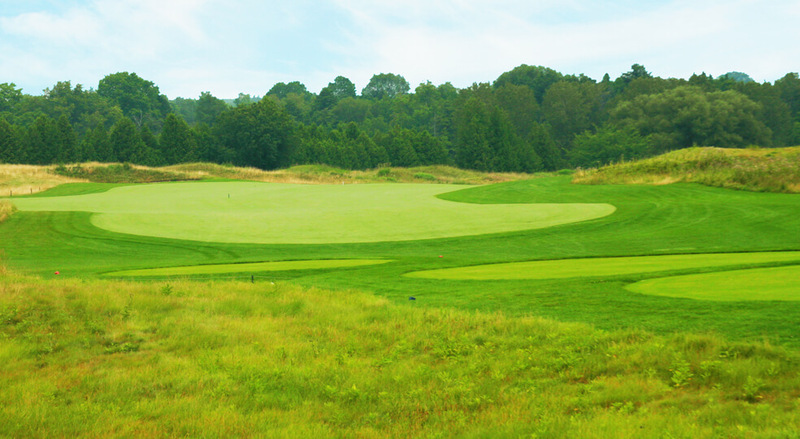 The middle-to-short iron approach played to a plateau green guarded by a greenside bunker and bentgrass collection areas. 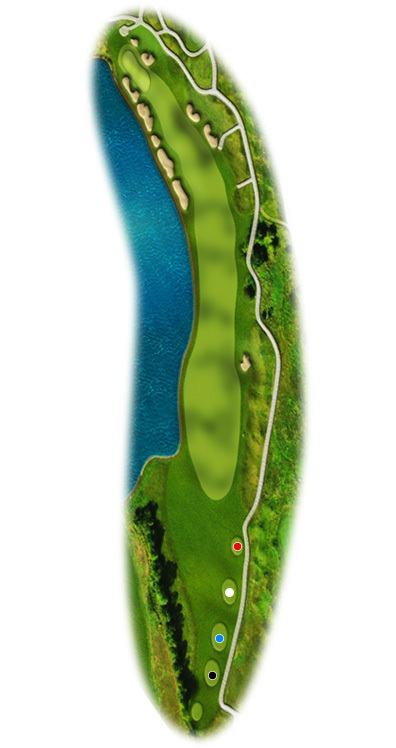 The eleventh hole is a slight dogleg left playing back into the prevailing wind and guarded by all that Mother Nature has to offer. The last 350 yards of the left side of the hole is dominated by a large pond and fairway and greenside bunkers perched precariously on the watery edge. 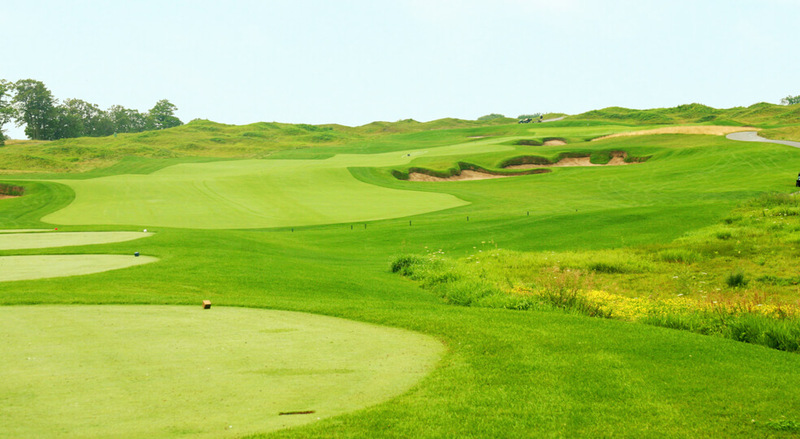 The right side of the hole is framed by fescue and more sand to guide the player towards a small narrow green. Many a best laid plan has dissolved into frustration after holing out on eleven. 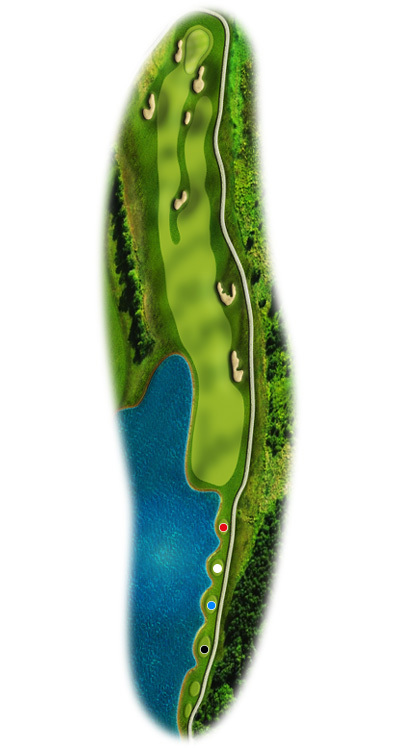 The twelfth hole is a par 4 again dominated by a large pond along the left side of the hole. One of the more challenging tee shots sets up an approach to a large green guarded front and left by water and right by sand. 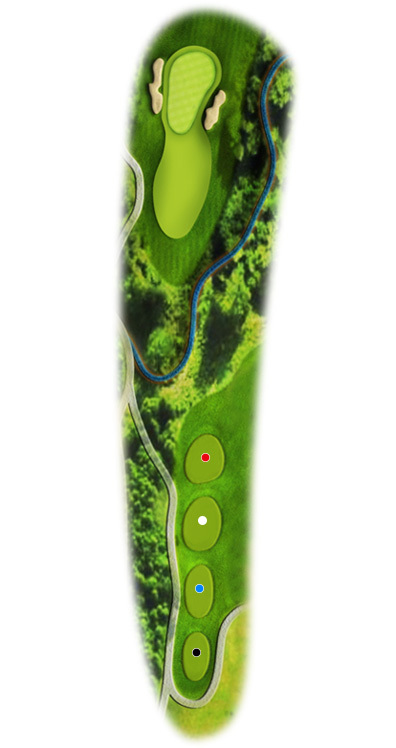 The two-tiered green has plenty of nasty pin positions and should keep birdies at bay. The thirteenth hole is an excellent risk/reward challenge. Water dominates the tee shot but an aggressive line leaves the player with a simple pitch to a medium sized green. 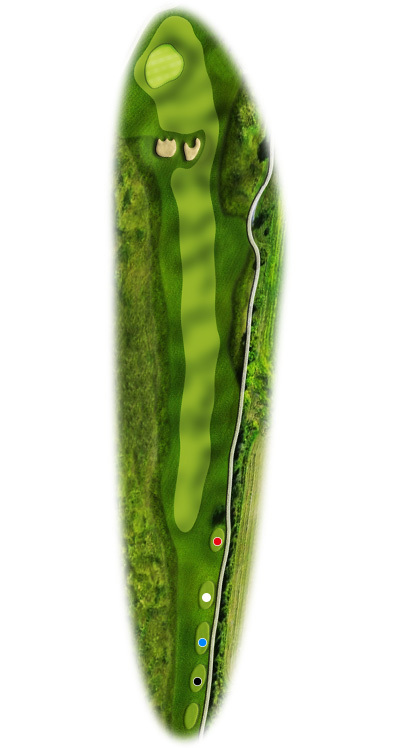 A conservative line leaves the player with a short iron to a green whose slopes run off-angle to the approach. Decisions will be made harder by the winds which often push tee shots into the waiting water. 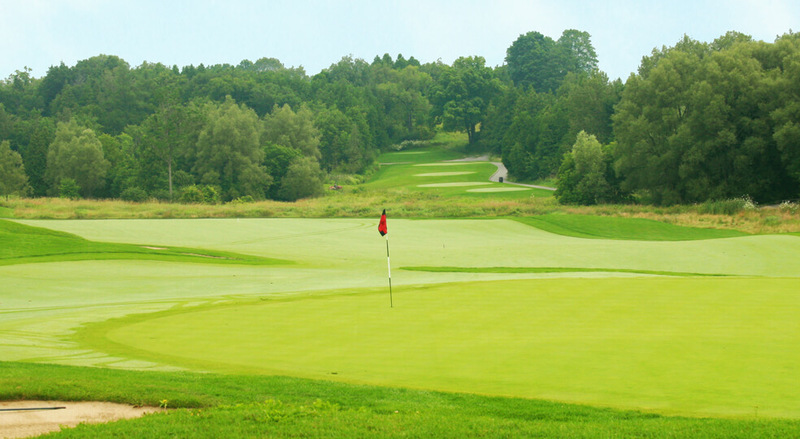 The shortest hole on the course is home to its most challenging green, as the putting surface is seemingly devoid of a flat surface. The front of the green will receive a lot of attention as misplayed shots will collect within a few paces of the steep creek embankments. 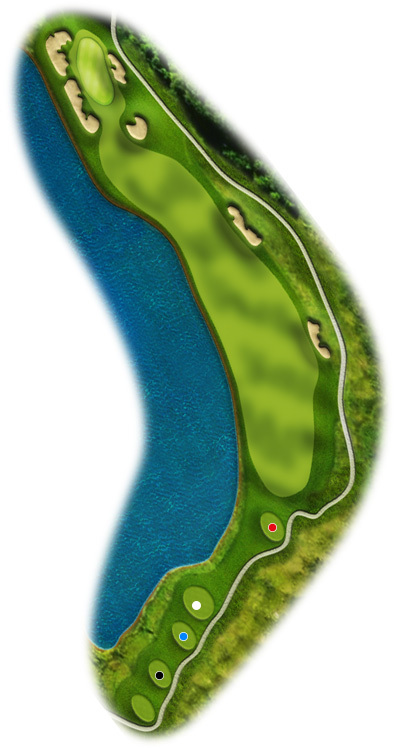 The fifteenth hole is a long par 5 whose water-menaced tee shot and double fairway approach create a challenging hole that will yield its share of birdies and bogeys. 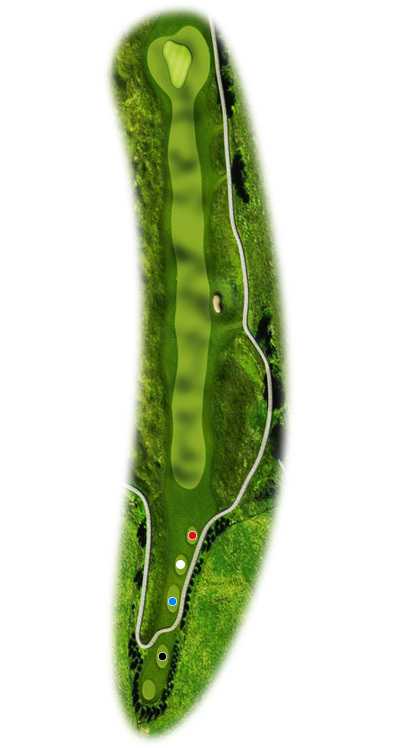 After the tee shot, the player will be faced with a choice of playing directly at the flag and risking a challenging third shot from the deep front greenside bunker or playing left of the green and leaving a simple pitch to a large, relatively flat green. 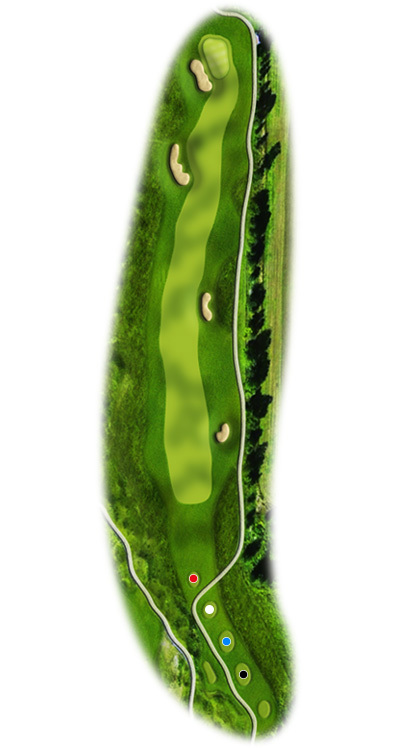 The sixteenth hole is a long par four played from a narrow fescue guarded fairway to a large green protected by a ridge, bisecting the green and bentgrass collection areas. 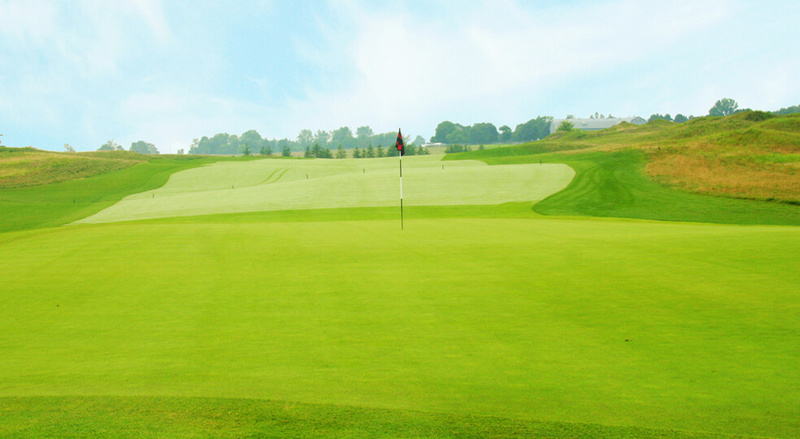 Any shot played long of the putting surface will leave an almost impossible up and down as the green surrounds slope steeply away to heavy rough and fescue. 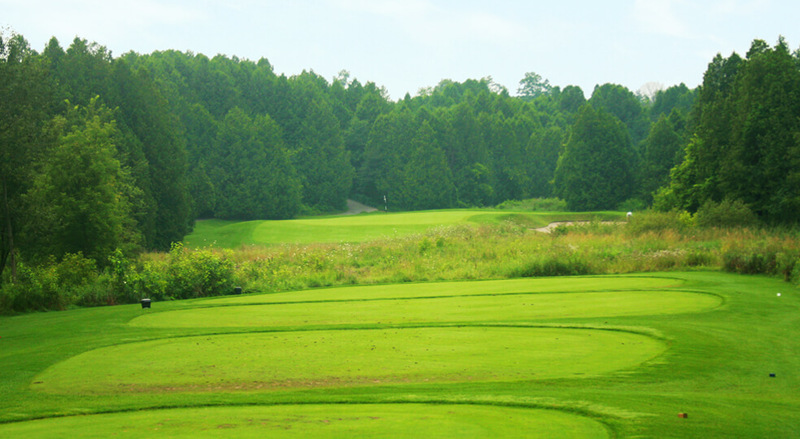 Playing back over the Bruce Creek, number 17 is your last chance at a Par 3. 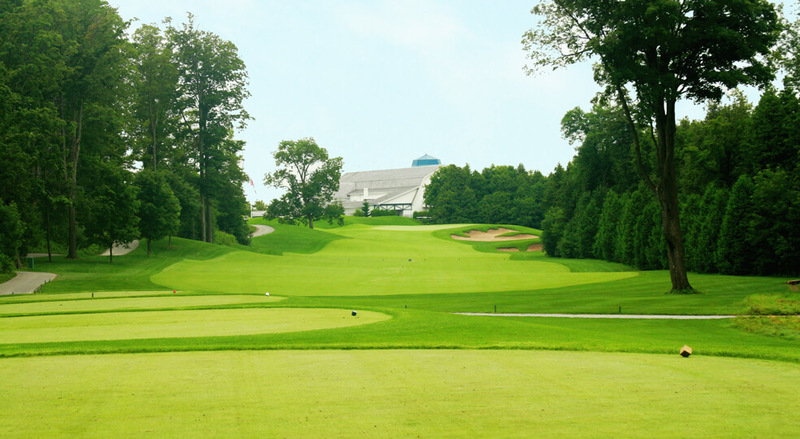 A relatively flat green is guarded by large bunkers and thick rough. 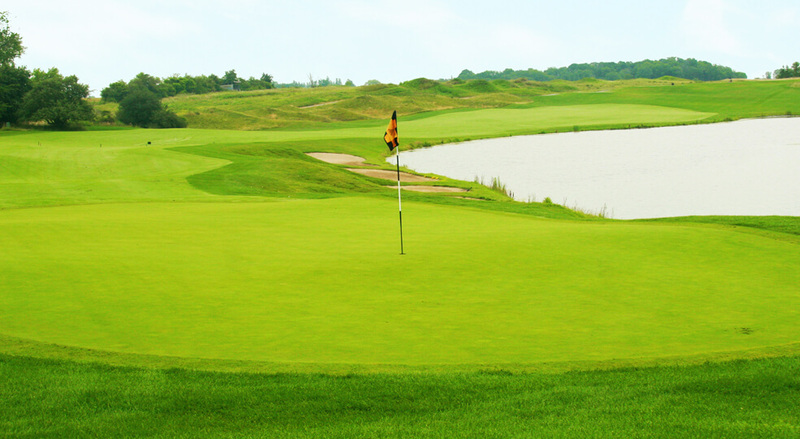 Check the wind and swing confidently to find the large putting surface. 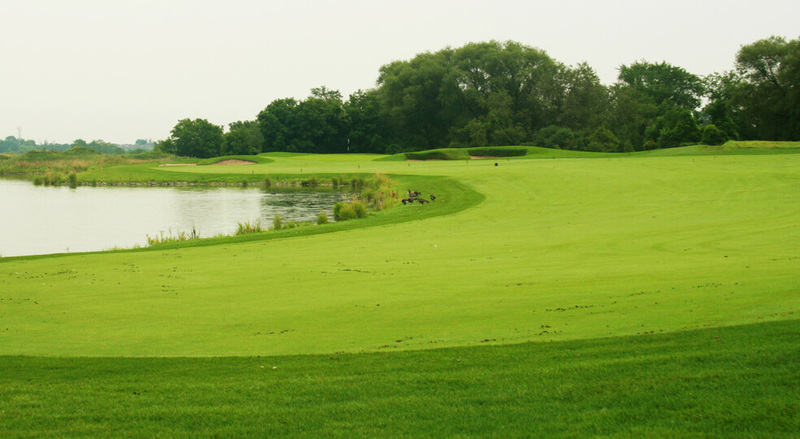 A classic Par 4 finishes your round on the North Course. Favour the left side of the fairway off the tee and your ball should ride the slope back to the flat center of the fairway. A green guarded by treacherous greenside bunkers and tricky greenside collection areas awaits your last chance at glory. Copyright &copy; 2018 Angus Glen Golf Club.